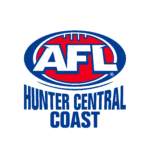 Five players from the AFL NSW/ACT region have been drafted into the AFL at the conclusion of the second day of the 2018 NAB AFL Draft, while four more have been rookied. Following the first round selections of Nick Blakey and Ely Smith last night, Kieren Briggs opened the account of AFL NSW/ACT on day two. 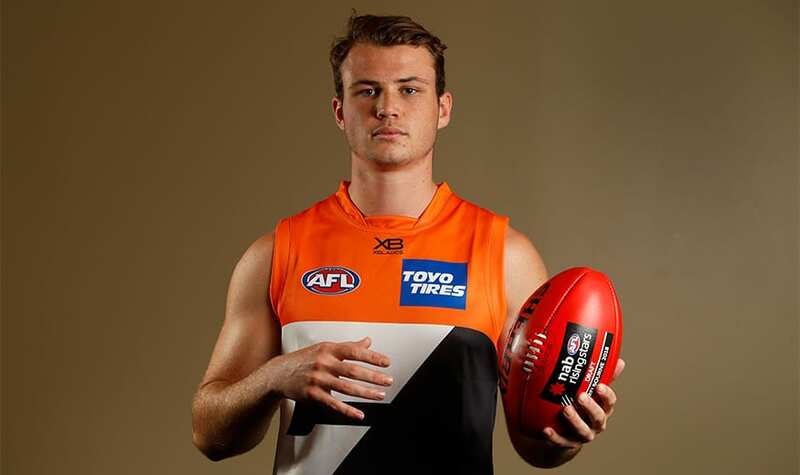 Selected at Pick #34, the GWS GIANTS fought off the West Coast Eagles who placed a bid for the ruck/forward from Sydney suburb, Carlingford. A member of their Academy, the GIANTS were quick to claim their man for the 2019 season. 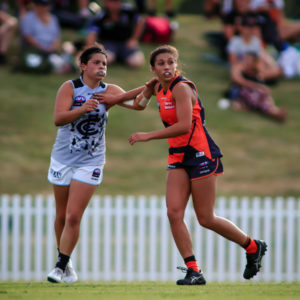 Under-18 All Australian selection Briggs – a player who imposes himself on the game with his physical presence in contests and strong hands – is a good mover for a player of his size. 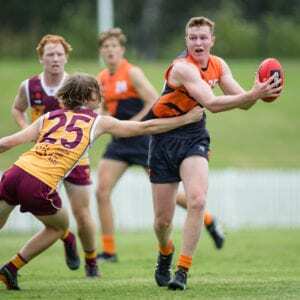 Mobile and good below the knees, he had an outstanding NAB AFL Under-18 Championships for the Allies, winning their MVP Award after claiming the same honour for the GIANTS in the 2018 NAB AFL Academy Series. Next to be drafted was Briggs’ Under-18 All Australian teammate, Albury’s Jacob Koschitzke. Continuing a strong tradition of AFL NSW/ACT players heading to Hawthorn, Koschitzke will wear Hawks colours in 2019. A tall defender who can also go forward, Koschitzke is an excellent contested mark and strong in one-on-one contests. A good user of the ball by foot, Koschitzke is a serious competitor who nullifies opposition key forwards and shows composure under pressure. The new Hawk is also the cousin of St Kilda and AFL NSW/ACT legend, Justin Koschitzke. The final local selection in the 2018 NAB AFL Draft would be earned by another Albury product in Mathew Walker, who is set to join Koschitzke at Hawthorn. Walker, who plays for the Murray Bushrangers in the TAC Cup, has been a part of the AFL’s national Academy in previous years. A hard-working midfielder, Walker has pace, can read the game well and has good ability in front of goal. 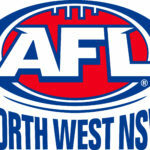 Following the main NAB AFL Draft, the Rookie Draft took place with four more local players being selected. Under the ‘Category A’ Rookie banner, three AFL NSW/ACT players were re-selected by their 2019 AFL clubs. Leeton’s Jacob Townsend will remain at Richmond after an injury-plagued 2018 season. Having played 47 games during his career with both the GWS GIANTS and Richmond, Townsend is also a Premiership player with the Tigers following their triumphant 2017. Similarly, Henty’s Sam Murray was re-selected by Collingwood and Sydney’s Will Langford was re-selected by Hawthorn. Sydney Swans Academy member, Sam Wicks from Manly in Sydney was the final local player to be selected by an AFL club. Picked up as a ‘Category B’ Rookie by the Sydney Swans, Wicks is a small forward who can play as an outside midfielder. The former NEAFL Rising Star nominee is also known for his speed, endurance and competitiveness. 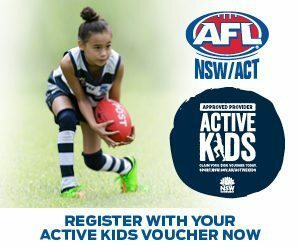 AFL NSW/ACT State Manager for Talent and Coaching, Darren Denneman said he is pleased for all players selected by AFL clubs. 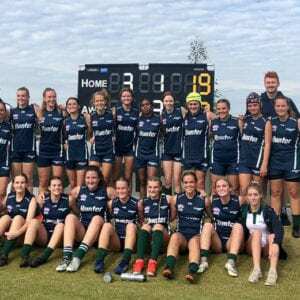 “This is a great result for AFL NSW/ACT and is testament to the hard work done by the players, the talent and coaching team, community clubs and club academies led by Jason Saddington at the GIANTS and Chris Smith at the Sydney Swans,” said Denneman.